Made from the finest materials available. 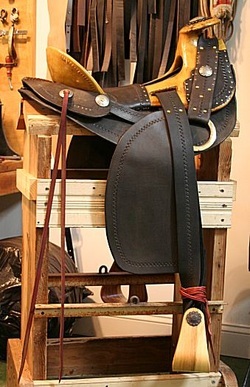 15-16 oz saddle skirting and well balanced riggings, on wood bullhide covered trees. Double bullhide covered available. 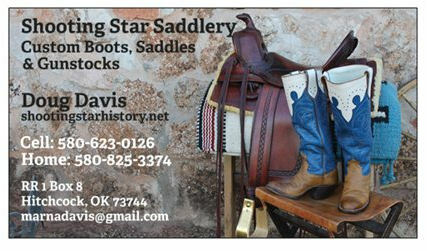 All saddles are one of a kind. Call for More information. 580-623-0126.